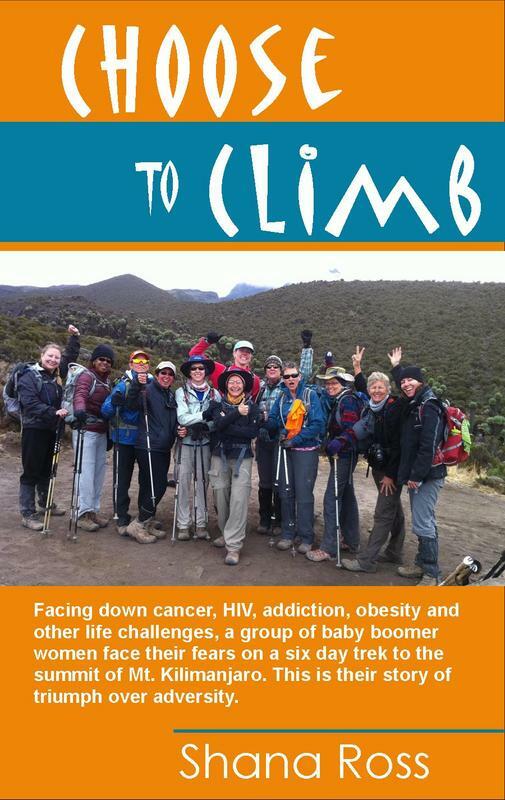 In September 2011, Mary Beth and I led a group of baby boomer women to Africa where we climbed Mt. Kilimanjaro: a six day trek ending at over 19,000 ft. at the summit. None of us were at an elite fitness level; and each of the women were dealing with challenges such as cancer, HIV, rheumatoid arthritis, obesity, recovery from addiction and sexual abuse. But we came together to support our friend Becky Pope who inspired this project. Becky was diagnosed with stage 3c ovarian cancer in 2008. After a hysterectomy she decided to not only be a cancer survivor but to thrive in spite of the disease. She wanted other women to know that the diagnosis was not a death sentence and that they too could find a way to live with passion and joy. She came to me in the middle of her chemotherapy treatments and only six weeks out from her hysterectomy and asked if I would help her and her partner train to climb Mt. Kilimanjaro. I was stunned, but overcome with inspiration for her mission. That's when Project Kilimanjaro was born. We trained outdoors during the hottest summer on record in Houston, Texas. We got tough really fast and were ready to go. Three weeks before our departure, tests showed that Becky's cancer had returned. Despite the recurrence, Becky never wavered in her resolve to climb. So on September 12, 2011 we took our first steps into the lush jungle at the base of Kilimanjaro, determined to stand on her arctic peak four days later. Becky lost her battle on March 24, 2013. Even as her time on earth was coming to an end, she wanted to make sure her mission would continue. My book "Choose to Climb" will share Becky's story and the life lessons we each brought down the mountain. It will include actionable steps on how each of us can use the power of our minds to harness the energy, love and support of others to reach heights we never thought possible. For more information on the project, visit the website which chronicled our journey at www.WeChoosetoClimb.com. Reserve your copy of my book today!